You are drawn into its Victorian nostalgia by equal measures of rich period costumes and child-friendly fantasy. In fact, its chief pleasure is supplied by the scores of child performers and the dear creatures they play. 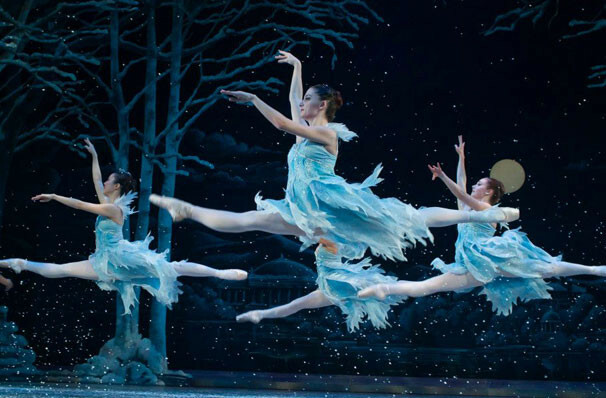 Why See The Washington Ballet - The Nutcracker? 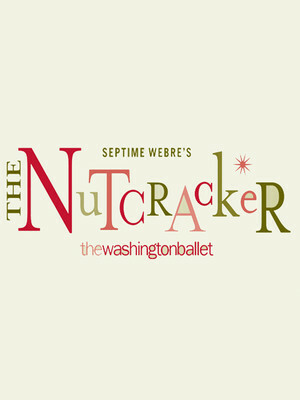 The magic takes on a patriotic theme in Septime Webre's glorious take on the holiday ballet, with 1882 Georgetown providing the setting instead of Austria. George Washington becomes the courageous Nutcracker, battling against King George III, who appears as the villainous Rat King! Joining the holiday fray is our flag designer Betsy Ross, John Paul Jones, Frederick Douglass, the Anacostia Indians, and the frontiersmen, all making for a truly historical and legendary combination! Following the traditional storyline of the original, the scene is set in 1882 Georgetown at an opulent townhouse where a Christmas party is in full swing. Clara, a young girl is excited for the arrival of her mysterious godfather Drosselmeyer, who presents her with a beautiful nutcracker doll, who is dressed as a revolutionary. Jealous of the gift, Clara's spoilt younger brother Fritz breaks it, and a heartbroken Clara leaves it under the tree for later. At the stroke of midnight, the party has ended, and Clara finds herself under a magically grown Christmas tree surrounded by rats, one of whom bears a striking resemblence to the defeated monarch King George III! But who should come to her rescue but her beloved Nutcracker, who has become human, and none other than the first president, Mr Washington himself. Together they beat the king and his minions, after which Washington whisks Clara off to a magical land where the cherry blossoms are in full bloom. 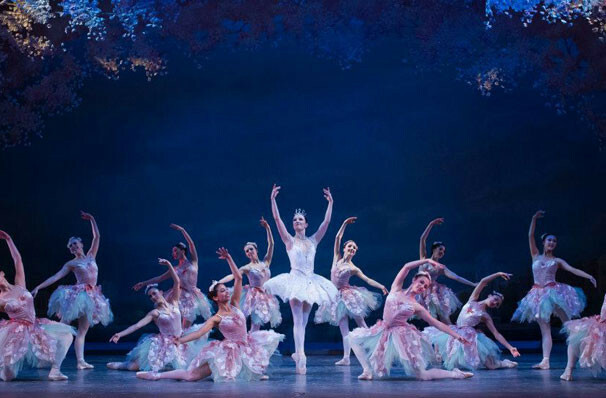 Greeted with joy by the Sugar Plum Fairy, her Cavalier and attendants: butterflies, mushrooms and other woodland creatures, the Nutcracker tells them how Clara saved his life, the Sugar Plum Fairy summons her subjects to entertain them with wonderful dancing. Each dance becomes a theme in patriotism; a duet for an Anacostian brave and maiden (Coffee); brilliant red cardinals (Chinese tea); a frontiersman dances with frontier girls; Mother Barnum introduces her young family of circus clowns; and the waltz of the "Cherry Blossoms" (Waltz of the Flowers) is led by the Dew Drop Fairy. 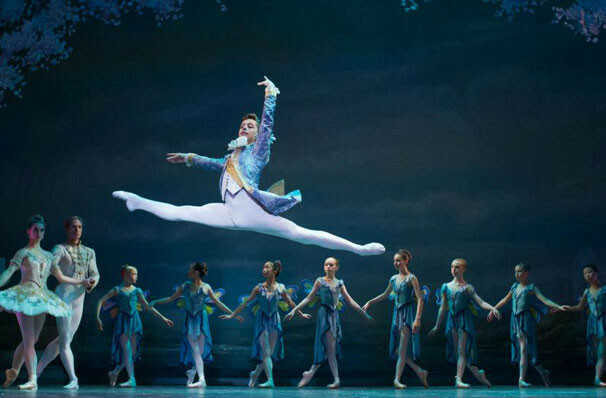 The celebration comes to a spectacular climax when the Sugar Plum Fairy and her Cavalier perform a grand pas de deux. Sound good to you? 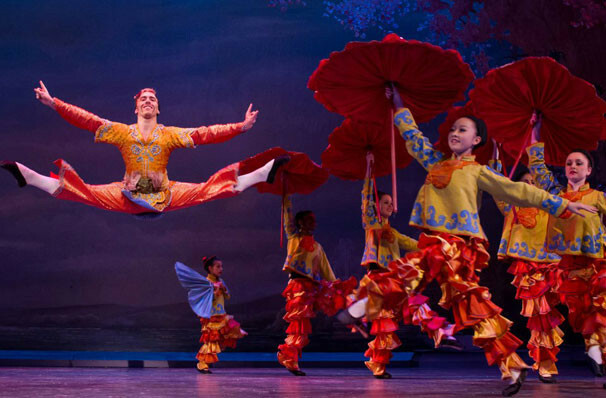 Share this page on social media and let your friends know about The Washington Ballet - The Nutcracker at Warner Theater.